At first I didn't see the gate in the wall, or the path, or the little figure. 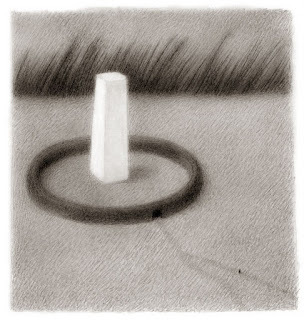 I just saw a ring, with the vague semblance of a rope extending off it, and an upright stick of butter in the middle. The perfect trap for a butter-loving rabbit.